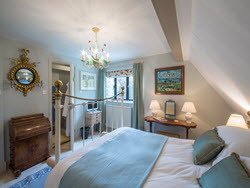 Tudor House has three lovely bedrooms that have been furnished to the highest standard creating a relaxing and comfortable atmosphere that is both homely and luxurious and reflect Julia's flair for décor and her eye for detail. "We felt so welcome and well taken care of, everything is of the highest standard"
The beds have comfortable mattresses and plumptious pillows for a restful night's sleep and each bedroom has a TV, hairdryer, coffee and tea facilities and Wi-Fi on request. Waffle dressing gowns are provided for guests to use during their stay. 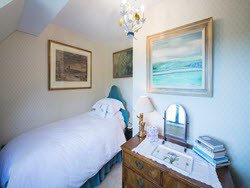 A spacious double 4' 6" bed with en-suite shower room facing the garden. Double room 4' 6" bed with separate stunning bathroom. 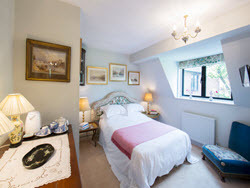 Can be booked with the single room for two or three people. A pretty single room with view across the fields and separate shared large bathroom. 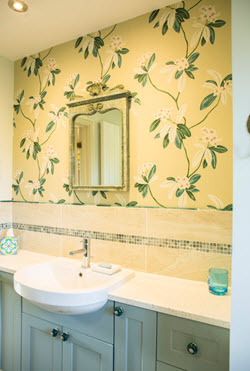 Can be booked in advance with the Peony double room for two or three people.